Here in the Bay Area we're used to fog every summer morning — but this year, the fog is cut with a smoky haze that says "apocalypse." 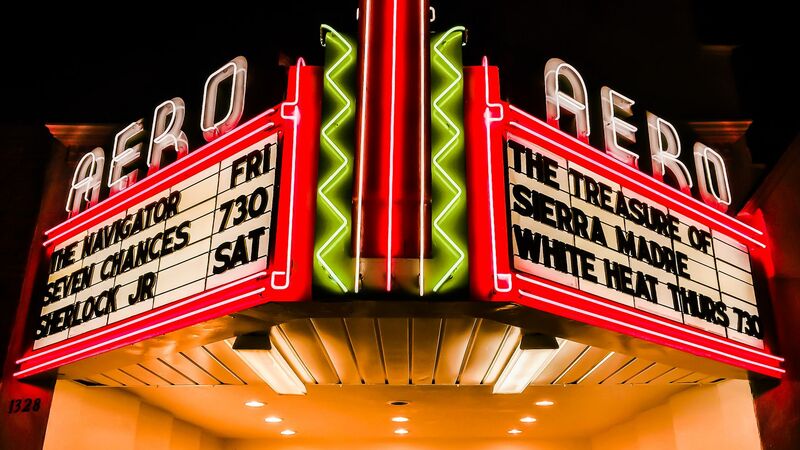 Technology companies are trying to disrupt the decades-old movie theater business, but unlike other industries, they haven't entirely been able to crack the code, Axios' Sara Fischer reports. Why it matters: Movie theater admissions have been relatively stable for the past three decades, despite the explosion of options technology has afforded consumers in entertainment. Tech firms trying to break the ticketing supply chain aren't having much luck. MoviePass, the monthly subscription theater ticketing service with a beloved unlimited-ticket plan, has gone through a rough few months trying to develop a sustainable business model. Many analysts think it will be difficult for the startup to figure it out. MoviePass says it will survive. CEO Mitch Lowe said in an interview with Cheddar Wednesday the company will be profitable in 6-9 months, despite dragging shares for its parent company Helios and Matheson down by roughly 99% in the last year. The big picture: Other big tech companies are investing in ticketing and theater ownership, but not for the purpose of competing directly with existing theaters. Facebook brokered a partnership with AMC last month to help the theater chain sell tickets. Between the lines: One area where tech is causing some concern, according to analysts, is the release window between studios and streamers. Twitter CEO Jack Dorsey will be making more stops on his media tour amid the Alex Jones controversy, Axios' Sara Fischer and David McCabe report. Dorsey is planning to speak with NBC's Lester Holt on Nightly News next week and CNN's Brian Stelter on Reliable Sources next Sunday, according to sources familiar with the sit-downs. Between the lines: The media tour comes amid controversy that while other tech platforms simultaneously banned Jones, Twitter stood behind its existing policies. A source familiar with the bookings says the purpose of this media tour is to be transparent and to have Dorsey be the face of the decision and explain it. Read Sara's and David's full story. The New York City Council voted on Wednesday to cap the number of ride-hailing cars in the city as part of a set of bills that will also set a minimum wage for drivers and halt new licenses while the city studies the impact of ride-hailing, Axios' Kia Kokalitcheva reports. Why it matters: This is a blow to companies like Uber and Lyft, which have historically resisted such regulations. Mayor Bill de Blasio attempted to introduce a cap in 2015, but dropped the plan after pushback from ride-hailing companies. New York's unusual system requiring ride-hailing vehicles to register with the city's taxi commission gives it a convenient tool to impose these caps. Vehicle registrations for three main ride-hailing services (Uber, Lyft, and Via) will be paused for 12 months while the city studies the industry's impact. New drivers can still get new registrations via the Taxi & Limousine Commission. The bills include some wiggle room for the companies. For example, the TLC will have the discretion to allow for more vehicles if there's a drop in availability in the city's outer boroughs. The companies are also allowed to add more wheelchair accessible vehicles to their services. Read Kia's full story here. Top tech firms are meeting this week with representatives of 24 historically black colleges and universities (HBCUs), in an effort the industry hopes will create partnerships to help diversify its technical workforce, Axios' David McCabe reports. “Often times you have these convenings and it's mostly about the conversation,” said Dean Garfield, president of the Information Technology Industry Council — but this time, he added, he's hopeful for a more systematic outcome. The Black Hat security conclave concludes today — but the cyber-festivities in Las Vegas won't quit, as DEF CON opens for a long weekend of hacker fun. Dropbox is adding two new VPs: Adam Nash, former CEO of Wealthfront, will be its new VP of product, and Naman Khan joins as VP of product marketing. John Orta, formerly of Metromile, joins Nextdoor as its chief legal officer. The Verge's Adi Robertson got a long session using Magic Leap's new augmented reality headset, and concludes that it's "more than a little exciting" but "still seems a long way from realizing the promise of the medium"
Have a great Thursday, and we'll see you again tomorrow morning. Hit "reply" for feedback and news tips.